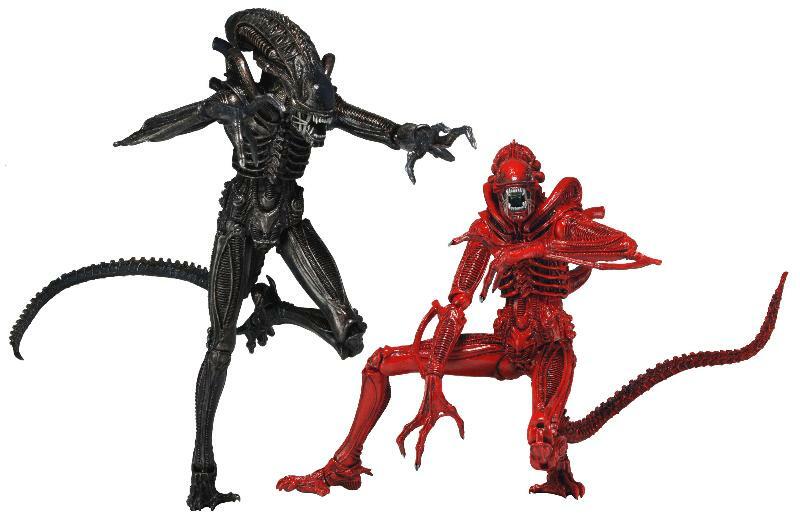 Aliens 7″ Action Figure “Genocide” 2-Pack! Based on the classic Dark Horse Comic series from the early 90’s pitting 2 different classes of Xenomorph Warriors against one another. The more common or traditional black-colored Xenomorph clashes with the unique crimson red-colored Xenomorph in an Aliens Civil War. Both Warrior figures feature over 30 points of articulation and stand over 9″ tall. They include extending inner mouths, bendable tails, and decoration that is exclusive and unique to this set and not available anywhere else!